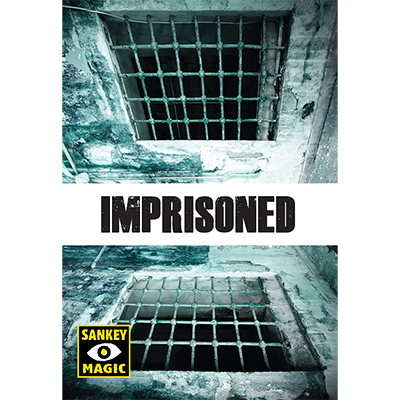 Today, when you order "IMPRISONED by Jay Sankey", you'll instantly be emailed a Penguin Magic gift certificate. You can spend it on anything you like at Penguin, just like cash. Just complete your order as normal, and within seconds you'll get an email with your gift certificate. Order in the next 9 hours 13 minutes and it will ship TODAY! 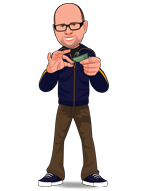 SPECIAL OFFER: Order Imprisoned TODAY and receive Jay's fun coin trick called "HYPERSENSITIVE" - Guess the dates on three coins without seeing them. (This is a download and will appear as Imprisoned in your MyPenguinMagic access area)! Borrow a coin and have it initialed with a marker. Then hand out a plastic drinking straw to be examined. Then, the magician impossibly inserts the coin INSIDE the straw, and even dragged down the entire length of the straw. And the spectator's initials can be seen through the stretched plastic of the straw the entire time. Best of all, everything can be handed out and closely examined.